November | 2010 | Happy nom nom nom-ing! On Saturday, while it was 30°C where I live, I decided to venture out towards the west where the temperature was hitting 33°C. Why would I do that? For the love of food of course. After an intense night of drinking with friends, I built up enough strength to jump into the car and drive to Fairfield to have lunch. I have been visiting Lao Village since my high school days (at least 8 years ago). I have always loved this place. I don’t know how I found out about it, but it has been one of my favourite restaurants since forever. 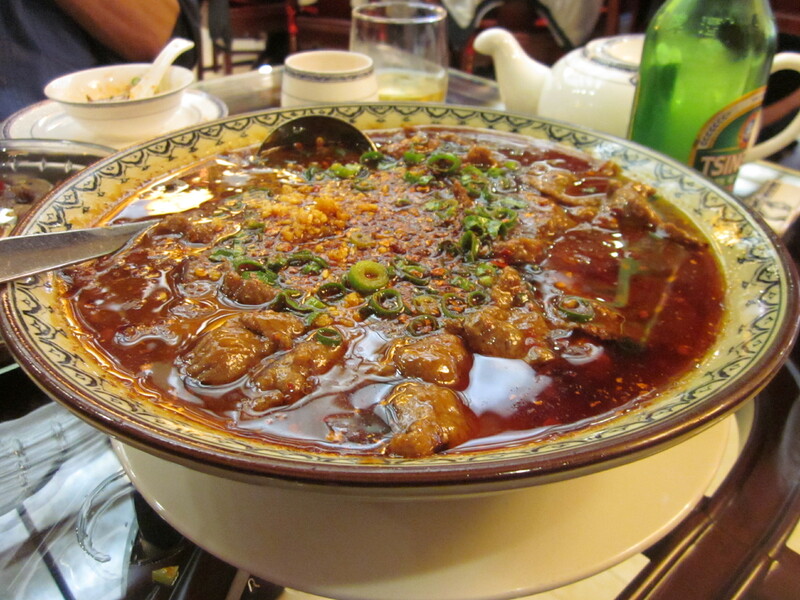 Although the interior looks a little bit run down and old, the food and the friendliness of the staff makes up for it. I have seen the price of the dishes go up slowly, but the prices are still quite reasonable in this day and age. I always seem to order the same dishes every time I visit. I like to order what I know I will absolutely enjoy. Without further ado, here comes the food. 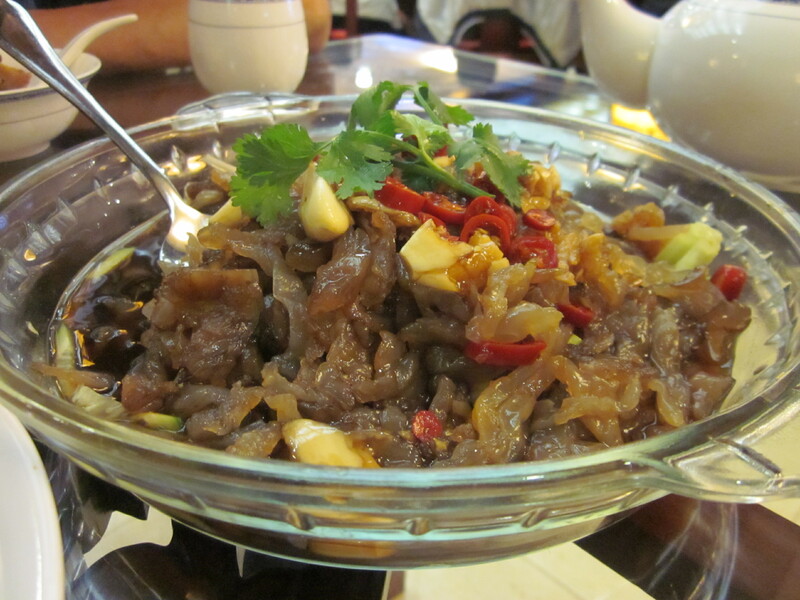 The crunchiness of the raw paw paw gives this dish some texture. 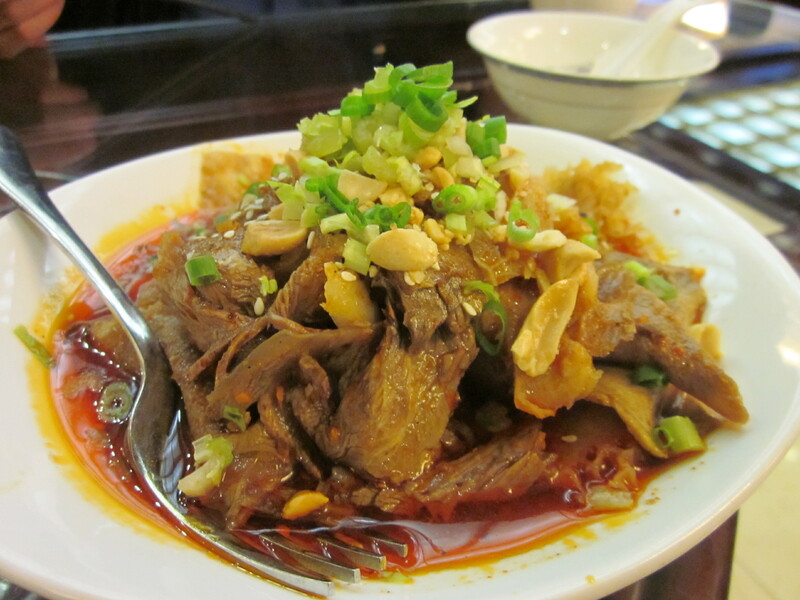 It absorbs the saltiness from the anchovies and sauce. 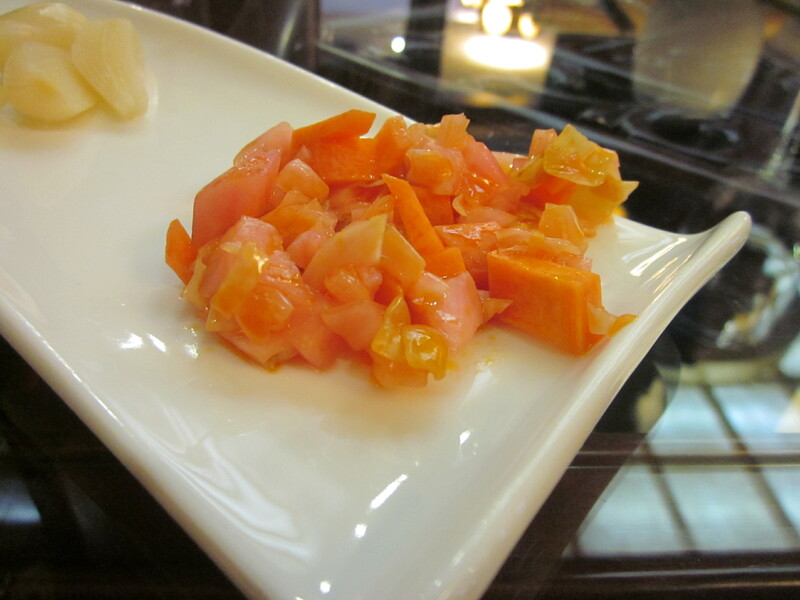 The paw paw entangles some dried shrimp, and tomato to create a very pleasant salad. 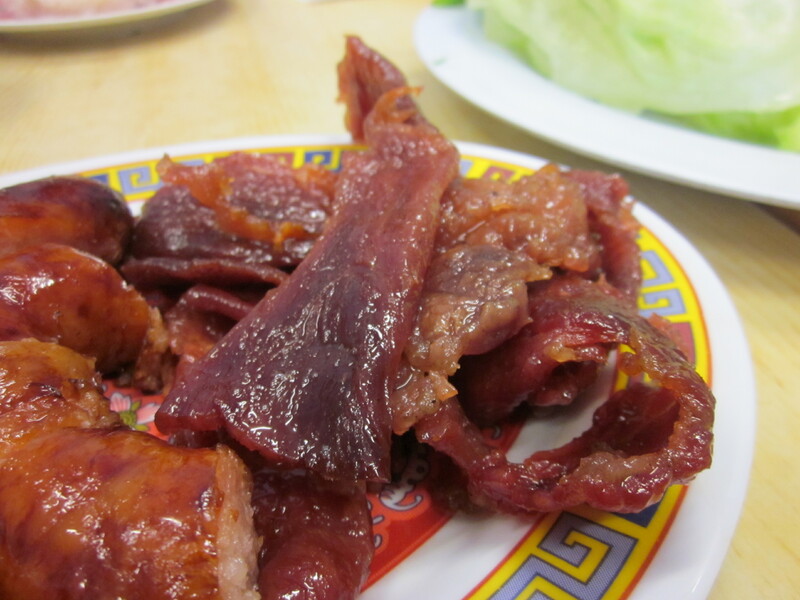 This is where my love for ox tongue began. 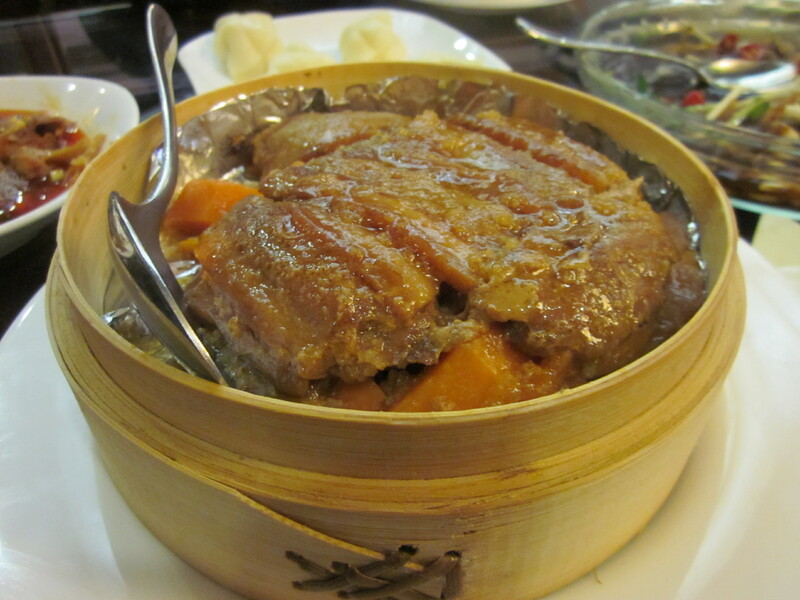 The ox tongue is cooked to perfection, moist with a melt-in-your-mouth texture. 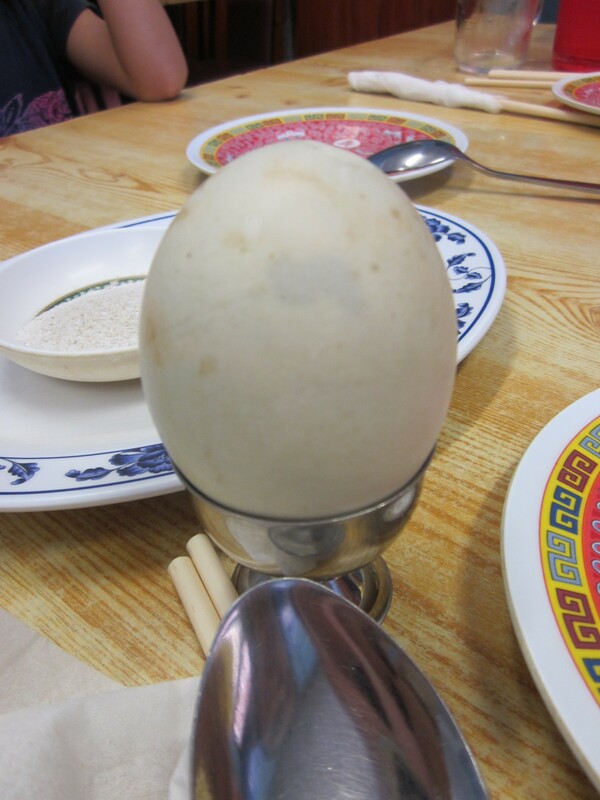 Every time I go to Lao Village, I ALWAYS order this dish. 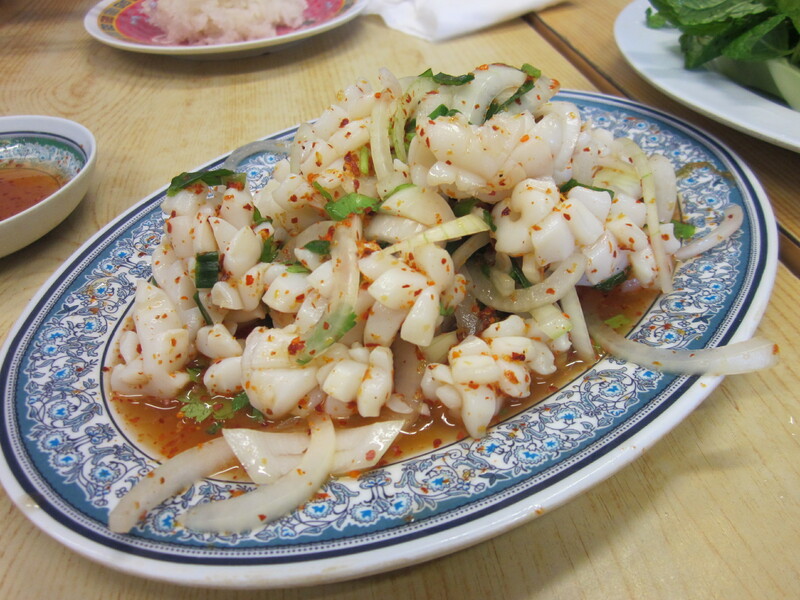 The squid is so soft and it is drenched in a tangy fish sauce. I’m not a fan of onion so usually by the end, only the onions are left on the plate, but my mum swears they taste delicious. 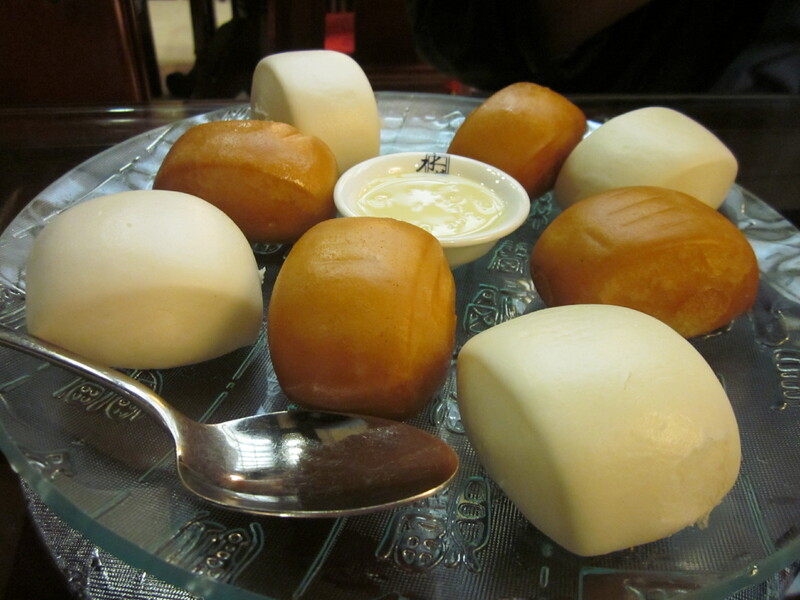 You can normally get these two separately at $8.00 a pop, or you can choose to sample these on the same dish, they just give you half and half. 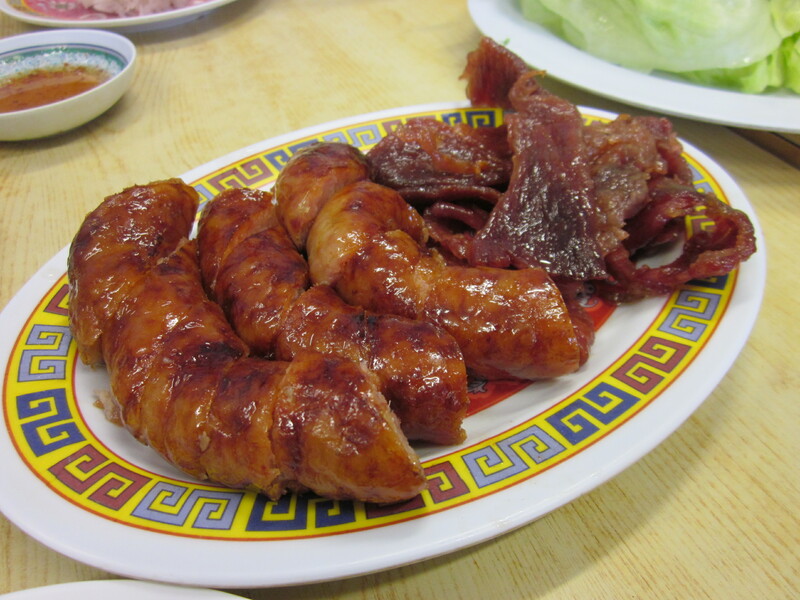 The Lao Pork Sausage is quite moist and flavourful. 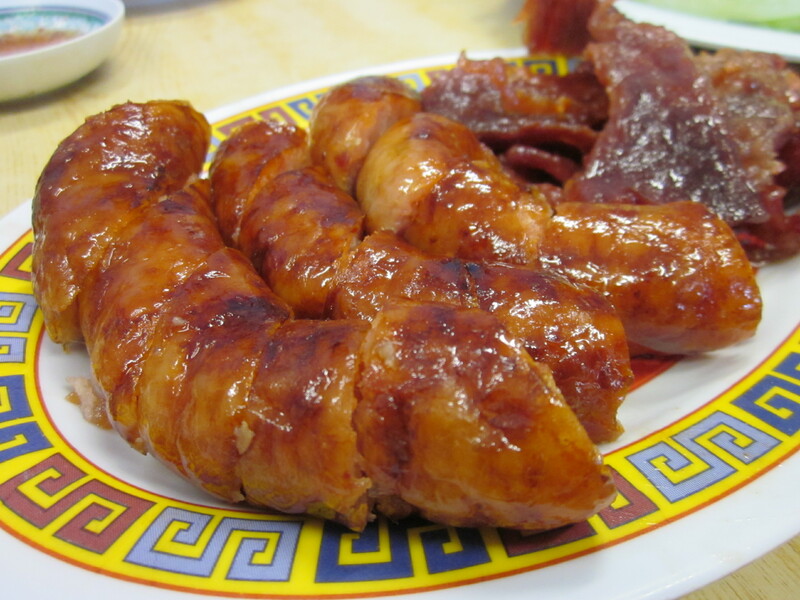 I would have preferred it to be a little bit more cooked as the inside had a kind of raw meat texture. Cooking it more would’ve created a contrast between the crunchy outside and the soft filling. 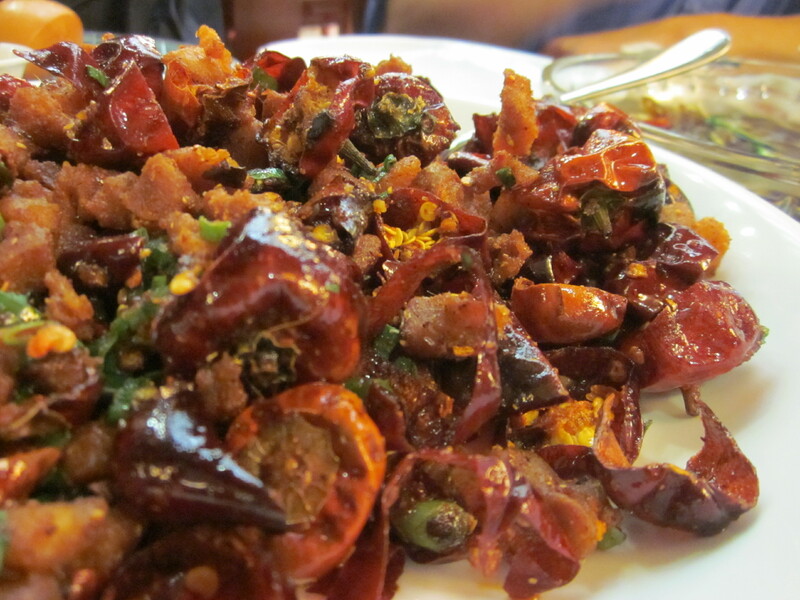 The Dried Beef (Lao Beef Jerky) is my least favourite dish. 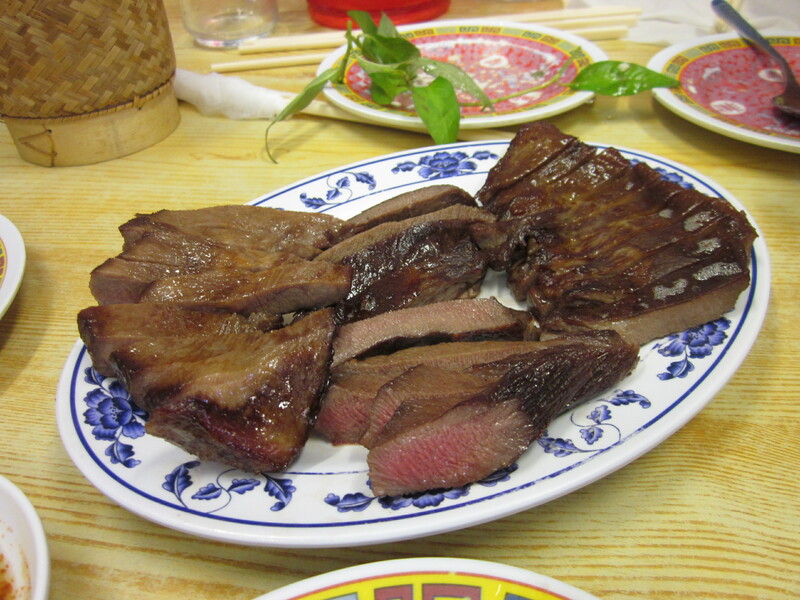 I find the beef quite dry (I know it’s jerky, but the ones they sell in Cabramatta are so moist) and quite fatty. 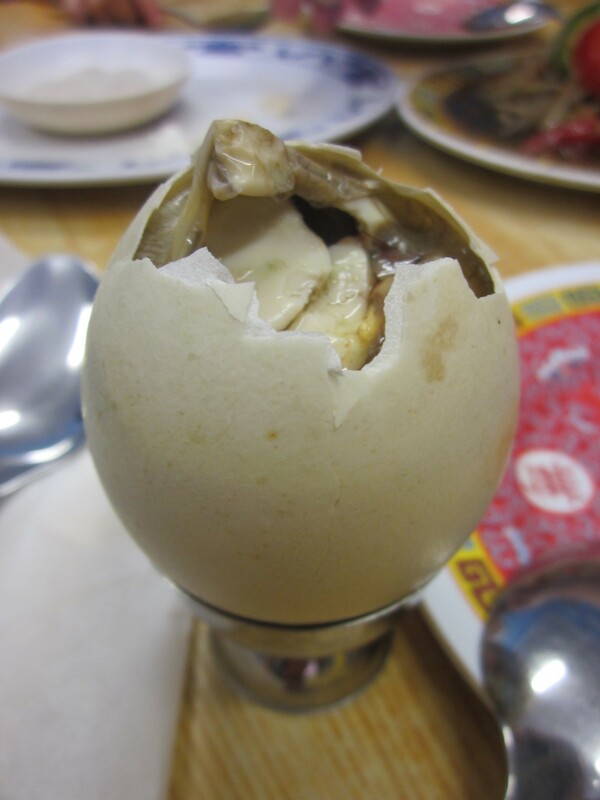 Balut, for readers who don’t know, is a fertilized duck egg with a nearly developed embryo inside. This means that yes, there may be some bones or if you’re lucky, maybe even some feathers. I cringe at the thought of eating this, but my mum seems to enjoy it. It is served in a basket made out of bamboo. 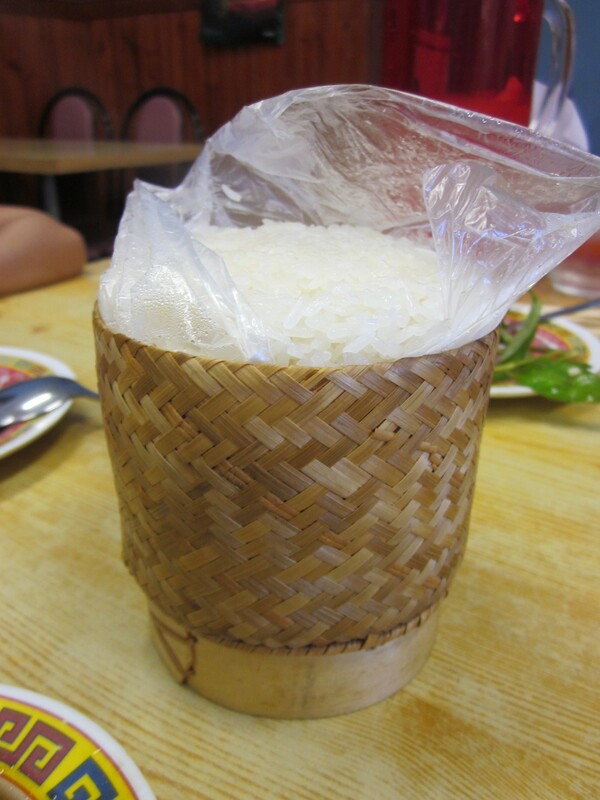 The sticky rice is served this way as it is a Laotian tradition. The correct way to eat this: you take a ball of this sticky rice and soak up all the sauce from the Paw Paw Salad and the Squid Salad. 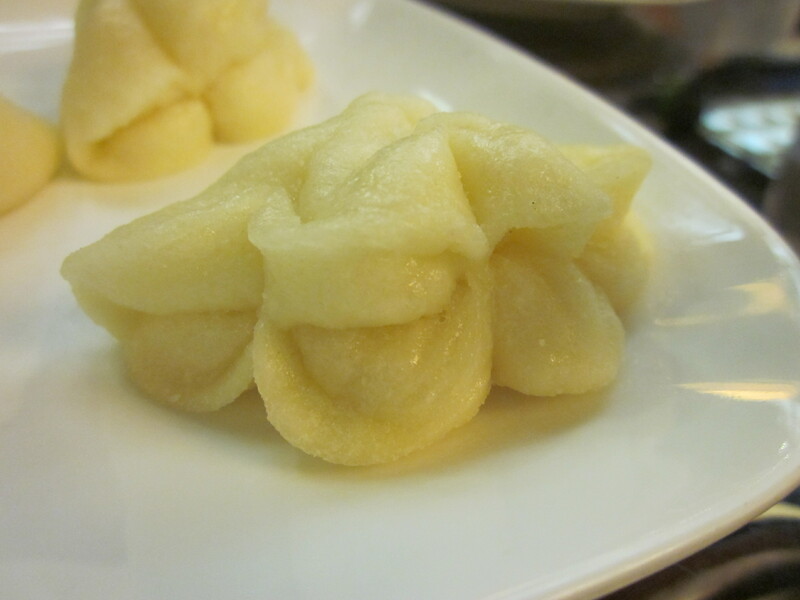 Alternatively, you just eat it like you would with normal steamed rice. I absolutely adore this restaurant. It has been open for 27 years and I hope it will continue to operate for many years to come. It makes driving 45 minutes out west very much worth it. There is another Lao restaurant that is open next door. 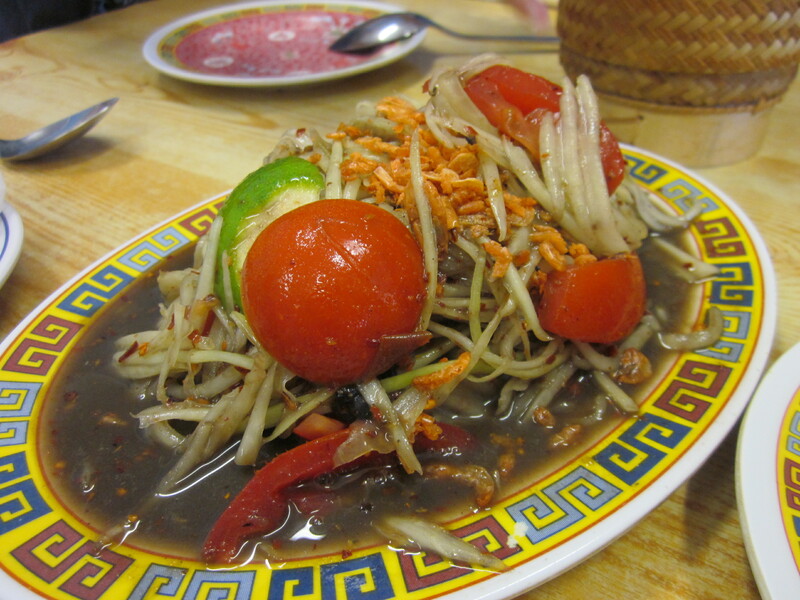 I have tried it once, but have made up my mind that Lao Village is best Lao restaurant for me. I first met Jack at the beginning of this year when I started my Hospitality degree at William Blue. Jack was quiet and kept to himself a lot, little did I know that he was a fellow foodie. He loved food with such a passion, it was quite admirable. He’s one of those people who are not afraid to experiment with different flavours and to mix what seemed like savoury ingredients into a sweet dish. His latest obsession is beetroot. I personally absolutely love beetroot. It’s such a unique vegetable. The colour, the flavour the texture. I love how beetroot is a natural dye and it stains onto other ingredients in a dish. Also, it just seems so Australia to love beetroot. Maybe it’s because I was born and raised in this beautiful country that I love many things that are considered ‘Australian’. So I was intrigued when Jack made dishes such as cakes, crepes, souffles, and penne out of the humble beetroot. He even managed to candy beetroot, I’m impressed. Jack currently runs a blog where you can ask all sort of food related questions. If you want him to post a recipe with a certain ingredient in it, feel free to ask. Other bloggers such as yourtimetoshine requested for a recipe with lemon in it, soon after Jack posted a recipe for a classic lemon meringue pie. His inspiration for his blog stemmed from when he realised that some of his friends lacked any knowledge of anything to do with food. This has become a common things amongst the younger generations as there seems to be an easy access to both processed and fast food. With this in mind, Jack thought, “Well, if I’m going to try and educate these people, I may as well try and educate everyone else as well.” So that’s what he set out to do. Not only does he educate people through his blog, but he also holds masterclasses to teach people with a hands on approach. At the age of 18, Jack has submerged himself in the world of food. He currently works at Centennial Park Dining in Sydney. His experience takes him from Bistro C in Noosa Heads, Queensland, to Pier Restaurant in Sydney’s Rose Bay. At such a young age, he has worked in an array of restaurants. I hope to see him succeed in his journey to educate the masses. His favourite restaurant at the moment is Baroque in Sydney’s The Rocks. He enjoys their take on modern french cuisine. His favourite chef is Rick Stein. Rick Stein helped Jack fall in love with cooking. Jack’s tip that everyone should follow is “that cooking should always be creation and not construction, the more love you put into your meal, the better it will taste!” Such wise words that are so true. There is a feeling of self satisfaction when you cook up a meal from scratch and share it with loved ones. You put your heart into cooking it and your friends and family will taste it as well. Jack is currently writing a book called Black Jacket. He will also begin to film a web series also called Black Jacket in November of this year. “Black Jacket is going to be the name of a show, a book and most of all a movement. To change what food is to the next generation, to change the focus of food from consumption to creation. To inspire Generation Y to eat healthier, to show them that the pinnacle of the food world isn’t the double whopper burger in fact.. it’s not even the $5 stunner deal. Shock Horror. Using mine and other peoples time and experiences in the hospitality industry we will make Black Jacket a movement to take good food and make it accessible to the new age of high school and uni students, to create a better future for food and to raise up a new generation of ‘foodies’.” ~ Jack New. Visit Jack’s blog and ask him some questions. I’m sure he’ll be willing to answer your questions.